Black Sabbath pioneered true heavy metal, and a fascinating look into the British band’s turbulent history is covered on two individual DVD and VHS releases, ‘The Black Sabbath Story: Volume One’ and ‘The Black Sabbath Story: Volume Two,’ coming from Sanctuary Records on September 24, 2002. Each DVD and VHS is sold separately. 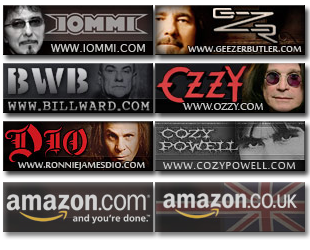 Each volume includes rare concert and television footage, music videos, in-depth interviews and much more. These titles are being released on DVD for the first time, and they include extras not present on the original VHS versions. They have been reformatted for DVD in the 16:9 letterbox ratio, and the audio has been remastered for both Dolby Digital 5.1 and stereo sound. Bonus features on both titles include animated menus, an album gallery and band history. ‘The Black Sabbath Story: Volume One’ covers 1970 to 1978, when the original lineup of vocalist Ozzy Osbourne, guitarist Tony Iommi, bass guitarist Geezer Butler and drummer Bill Ward turned rock music upside down with its blistering originality. 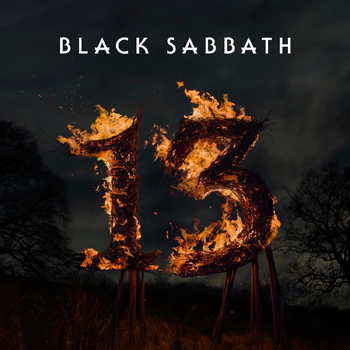 Albums like ‘Black Sabbath,’ ‘Paranoid,’ ‘Master of Reality’ and ‘Volume 4’ are still cited as metal milestones 30 years after their release by successive generations of rock fans. Osbourne, Iommi, Butler and Ward addressed the bleaker sides of life in their songs, and did so on a volcanic musical foundation. This 85-minute DVD includes 10 songs: "N.I.B.," "Paranoid," "War Pigs," "Children of the Grave," "Snowblind," "Sabbath, Bloody Sabbath," "Symptom of the Universe," "It’s Alright," "Rock ‘N Roll Doctor" and "Never Say Die." One special feature is an in-depth interview with Black Sabbath’s original manager, Jim Simpson, who describes the band’s development. The 10 songs on the 72-minute second volume are: "Hard Road," "Die Young," "Neon Knights," "Trashed," "Zero the Hero," "No Stranger to Love," "The Shining," "Headless Cross," "Feels Good to Me" and "TV Crimes." A bonus interview with Black Sabbath expert Hugh Gilmour is part of this DVD. ‘The Black Sabbath Story: Volume One’ and ‘The Black Sabbath Story: Volume Two’ are valuable historical documents that chronicle the career of one of the most innovative rock bands in history. Here’s some ordering links for the Sabbath Story DVD’s.